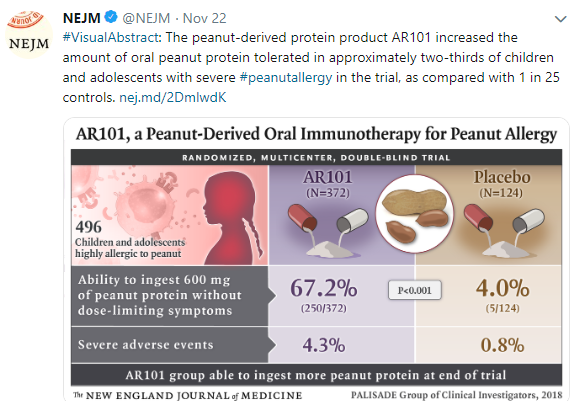 Methods: Participants with an allergic response were randomly assigned, in a 3:1 ratio, to receive AR101 (a peanut-derived investigational biologic oral immunotherapy drug) or placebo in an escalating-dose program. 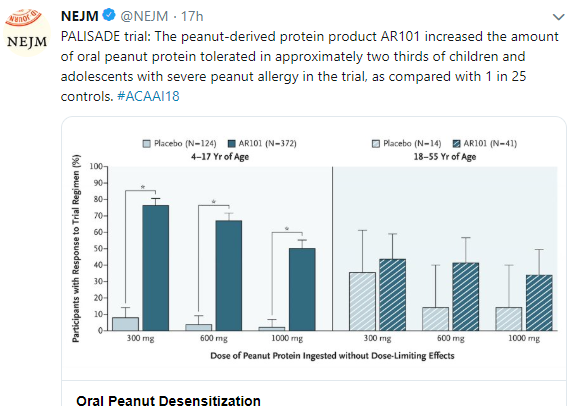 Conclusions: In this phase 3 trial of oral immunotherapy in children and adolescents who were highly allergic to peanut, treatment with AR101 resulted in higher doses of peanut protein that could be ingested without dose-limiting symptoms and in lower symptom severity during peanut exposure at the exit food challenge than placebo. 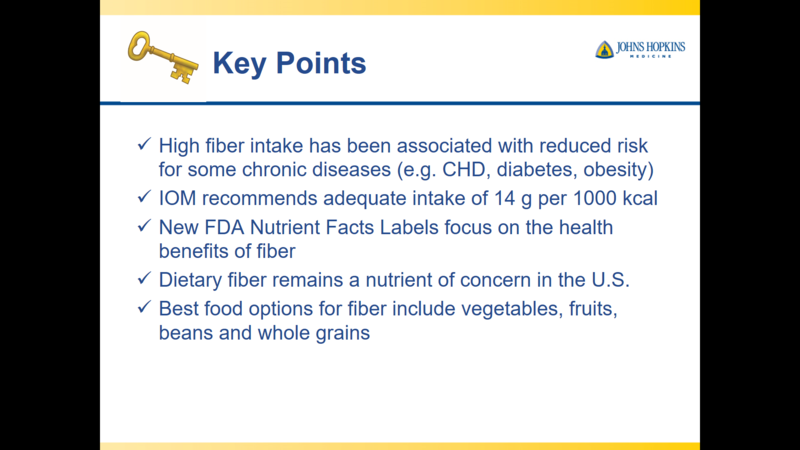 A recent ‘clinical quality forum’ sponsored by The Children’s Care Network (TCCN) and Nutrition4Kids featured several good lectures. 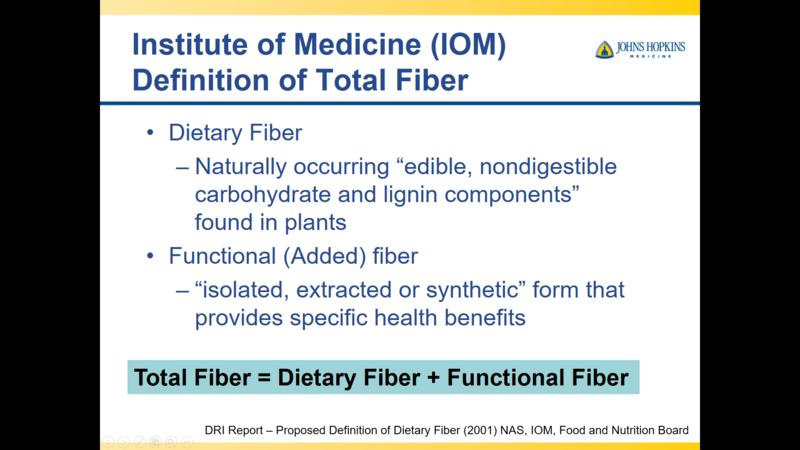 The symposium was titled, “It’s Alimentary.” What follows are my notes –the full lectures from these talks will be available in the coming weeks on the Nutrition4Kids website. My notes may include some errors in transcription and errors of omission. 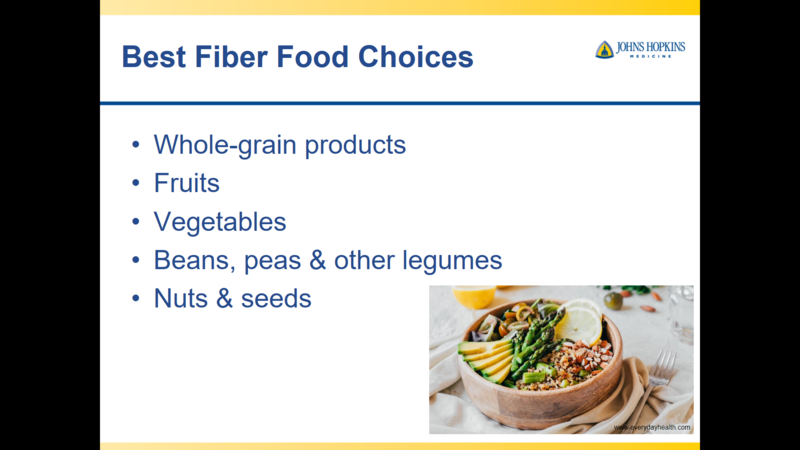 “The Fiber Movement: Why Kids Need It and How to Get It” by Maria Oliva-Hemker (Director of Division of Pediatric Gastroenterology, Johns Hopkins). 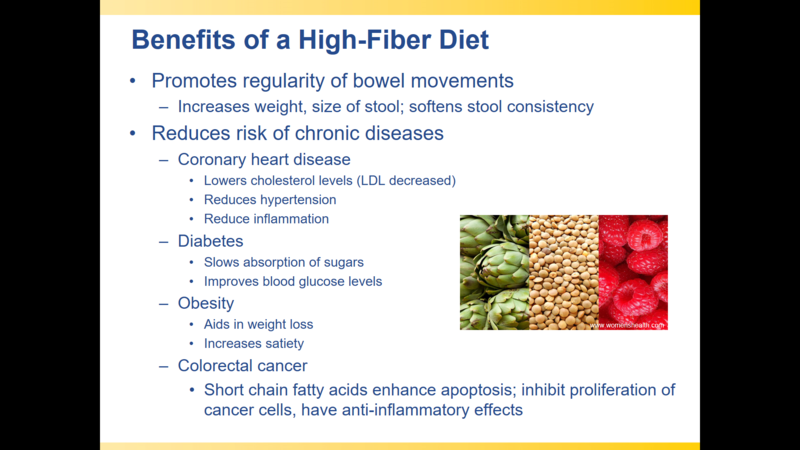 This was a terrific lecture which pulled together a lot of useful information. 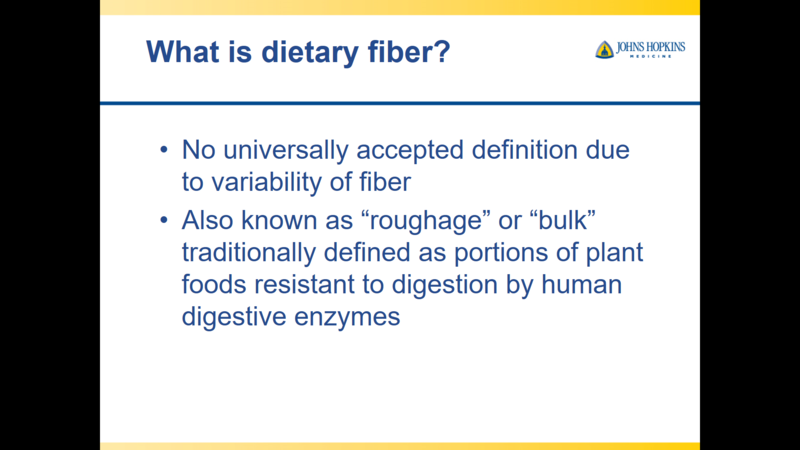 Despite hearing a lot about fiber, this lecture showed me that there is a lot that I still need to learn. 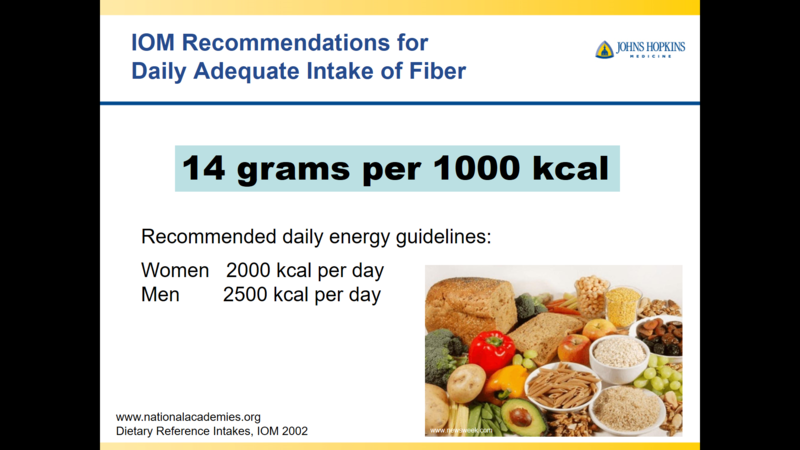 Institute of Medicine recommends 14 grams of fiber per 1000 kcal of dietary intake. 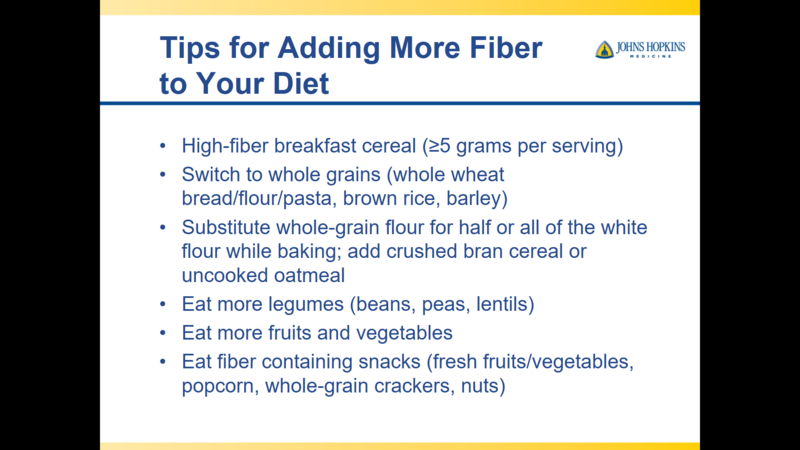 This is a higher amount of fiber than prior recommendations. 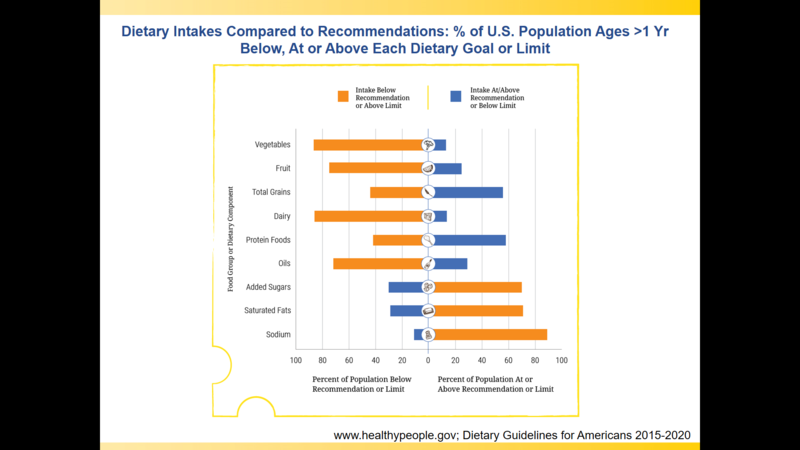 Slides with information on introduction of peanuts –this should be discussed with physician before implementation. 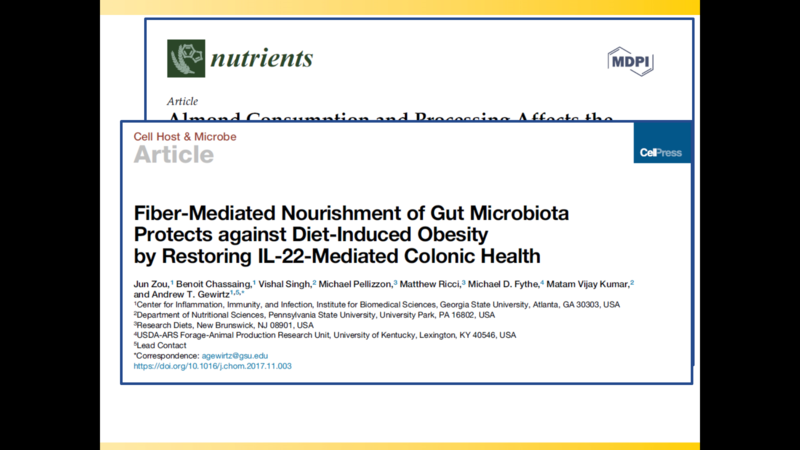 Researchers followed the kids for one additional year. 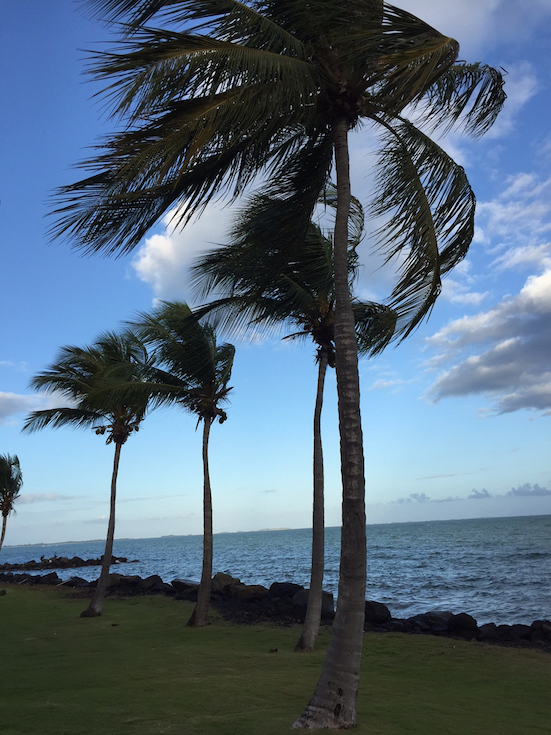 The kids were between 5 and 6 years old during this follow-up period. 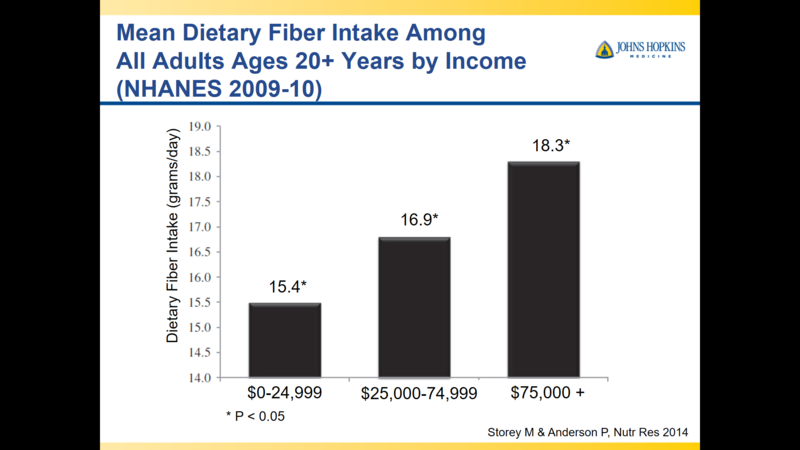 It turned out, these high-risk kids’ tolerance to peanuts held up even if they stopped eating peanuts. 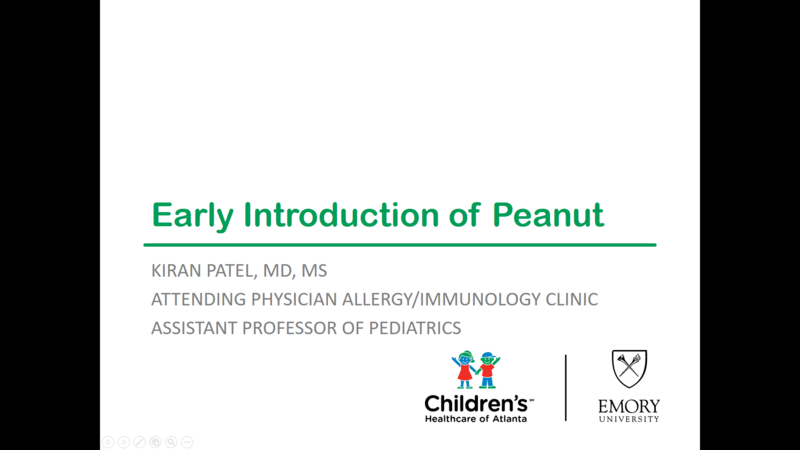 “A 12-month period of peanut avoidance was not associated with an increase in the prevalence of peanut allergy,” the authors write in the paper. 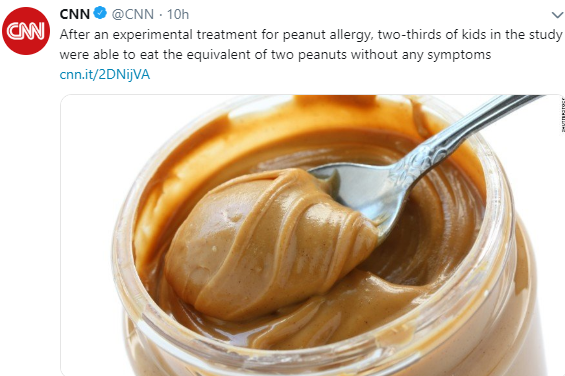 But that doesn’t mean all parents should just rush in with the peanut mush. 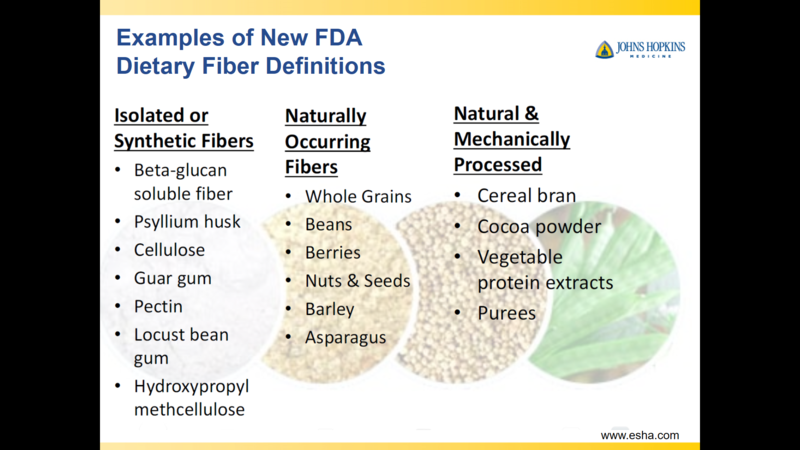 The guidance recommends that “infants with eczema or egg allergy in the first 4 to 6 months of life might benefit from evaluation by an allergist” — before they’re introduced to peanut-based foods. 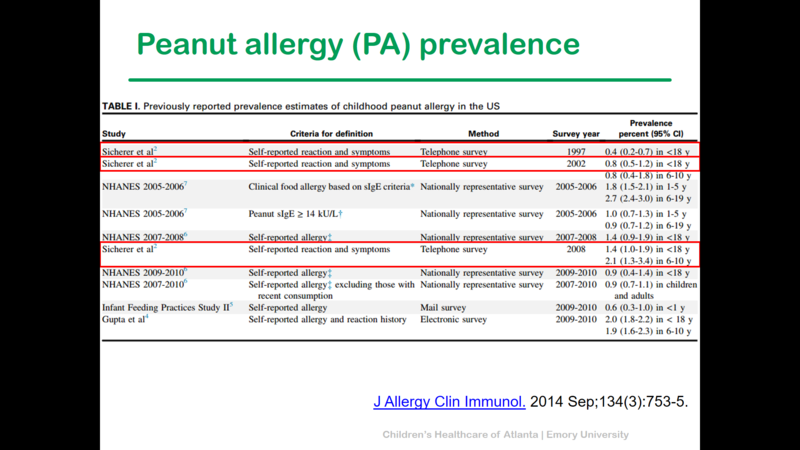 If you listen to any news source over the last day, there is a buzz about a new study regarding early peanut exposure in the prevention of peanut allergy. 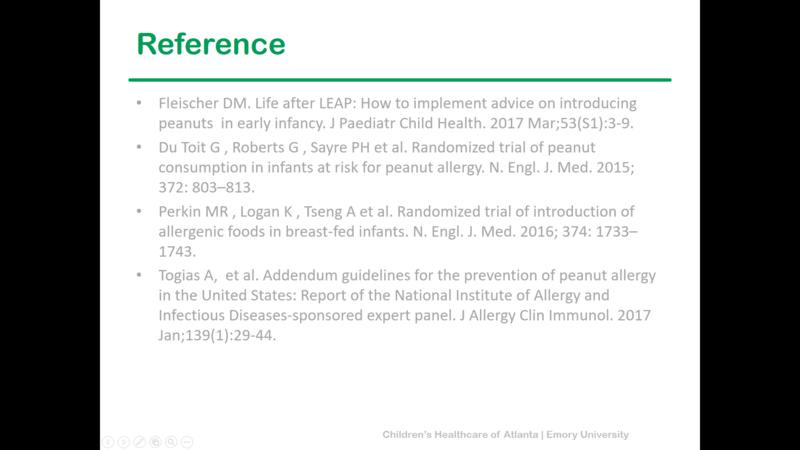 A link to a blog that summarizes the study and the associated editorial: NEJM Blog -Peanut Consumption in Infants For those who prefer a 1 minute video summary: http://nej.md/1ATy9oZ Here’s a brief excerpt: The Learning Early About Peanut Allergy (LEAP) study, now published in NEJM, was a randomized, open-label, single-center study designed to compare two strategies to prevent peanut allergy: consumption or avoidance of peanuts. 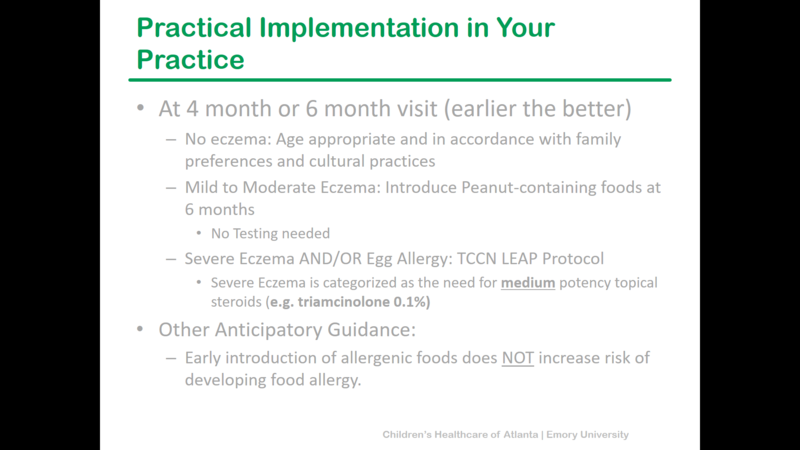 The trial enrolled children 4-11 months of age who were thought to be at high risk for developing a peanut allergy based on a history of severe eczema or egg allergy. 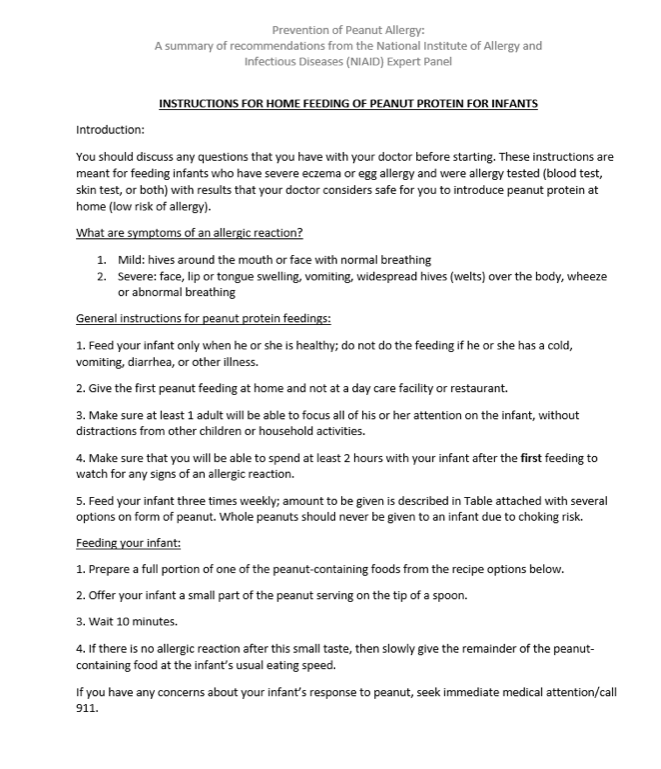 Participants were given a skin prick test to evaluate for sensitivity to peanut. 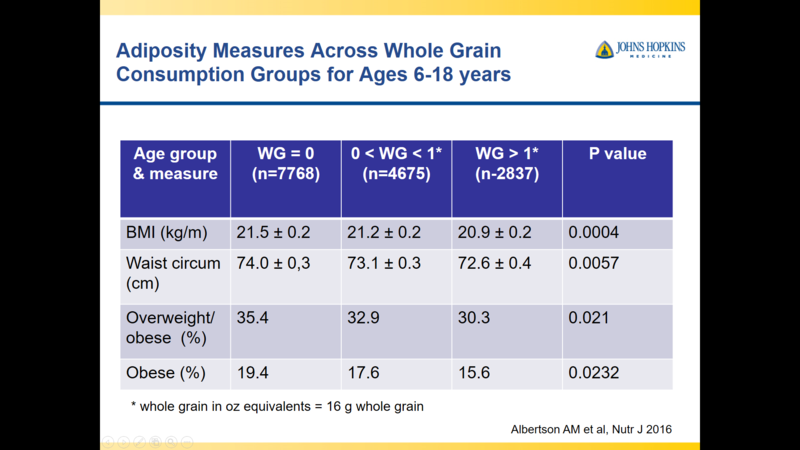 Children with a negative skin prick result (meaning no measureable skin wheal) or moderately positive (1-4mm wheal) were included in the study; children with a highly positive result (wheal >4mm) were excluded. 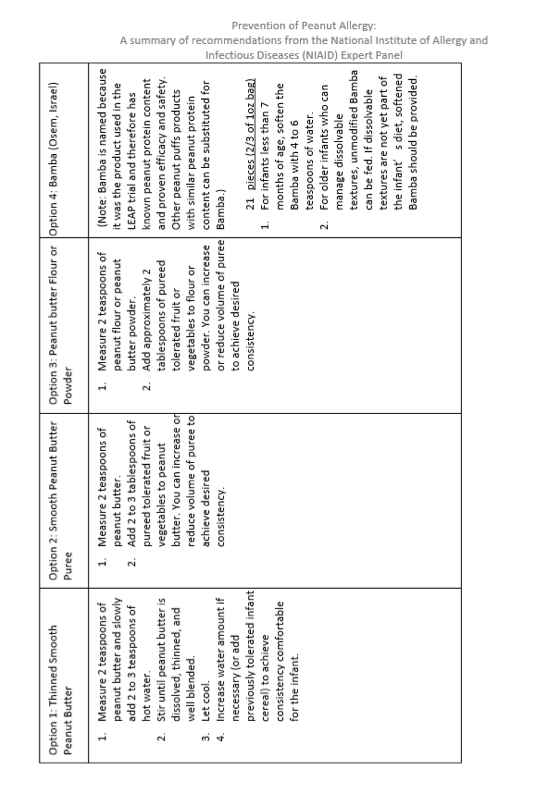 Infants were then stratified based on their skin prick test results. 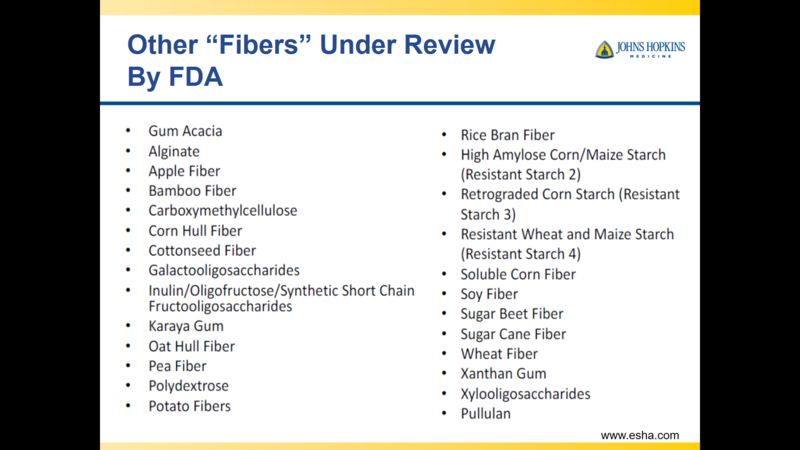 530 infants in the skin prick test negative group and 98 infants in the skin prick test positive group were randomly assigned to either consume 6g of peanut protein per week or to avoid peanuts. 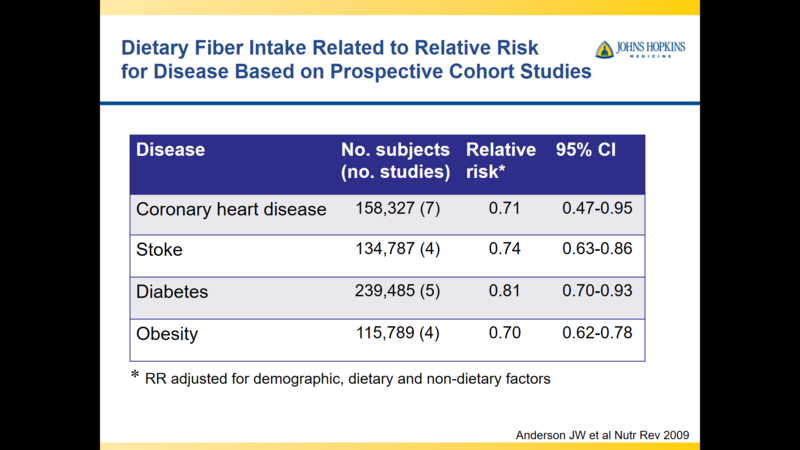 The primary outcome was the proportion of participants with a peanut allergy at age 5, determined by response to an oral peanut protein challenge. 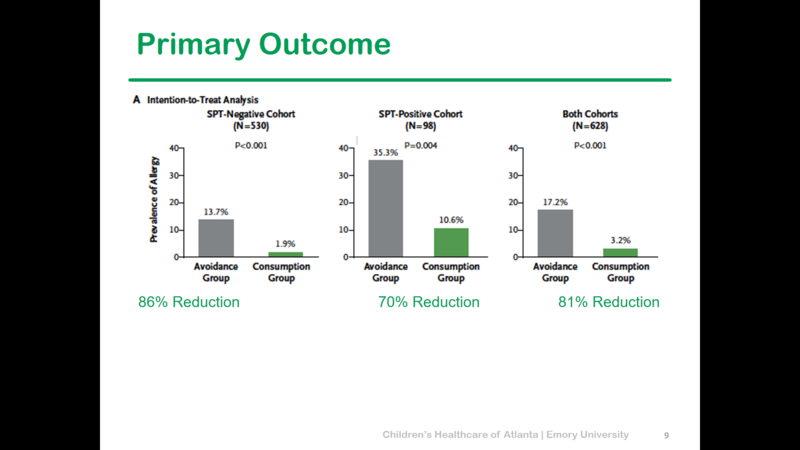 The results were impressive: in the negative skin prick test group, the prevalence of peanut allergy at age 5 was 13.7% in the avoidance group versus 1.9% in the consumption group (P<0.001). 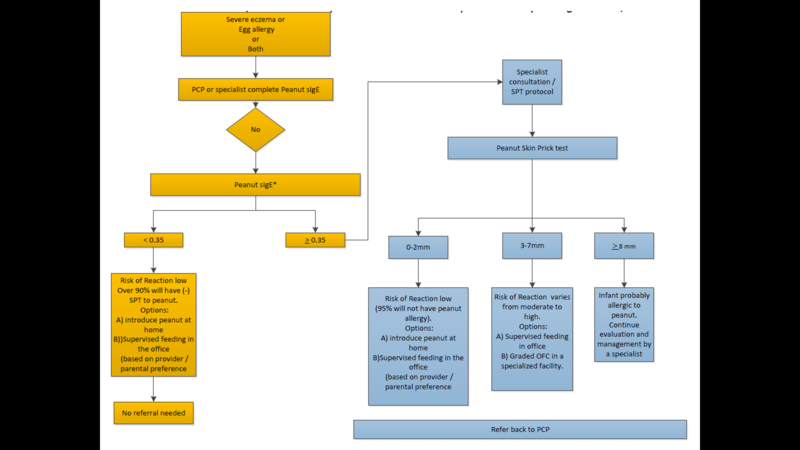 In the positive skin prick test group, 35.3% of those who avoided peanuts were allergic as compared with 10.6% of the consumption group (P=0.004).